The GSK-1004 illuminates 5 LED's when there is not sufficient sunlight for the solar panel to charge batteries. 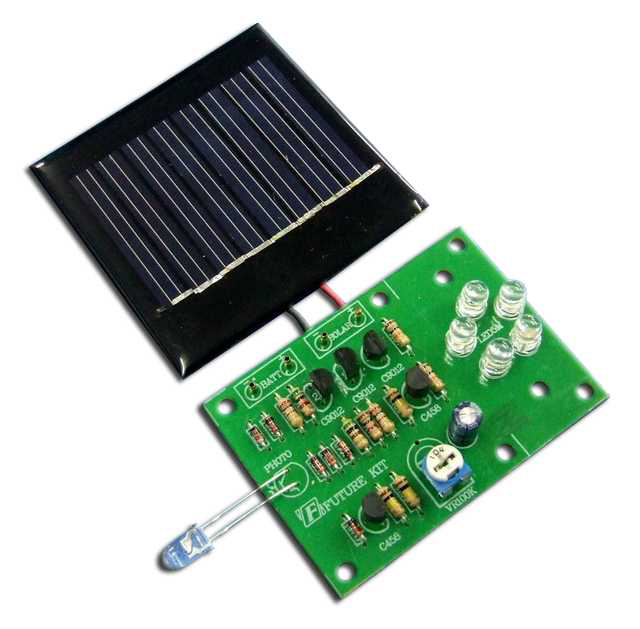 The LED's will automatically turn on and draw voltage from the batteries when the solar panel can no longer convert sunlight to DC voltage. 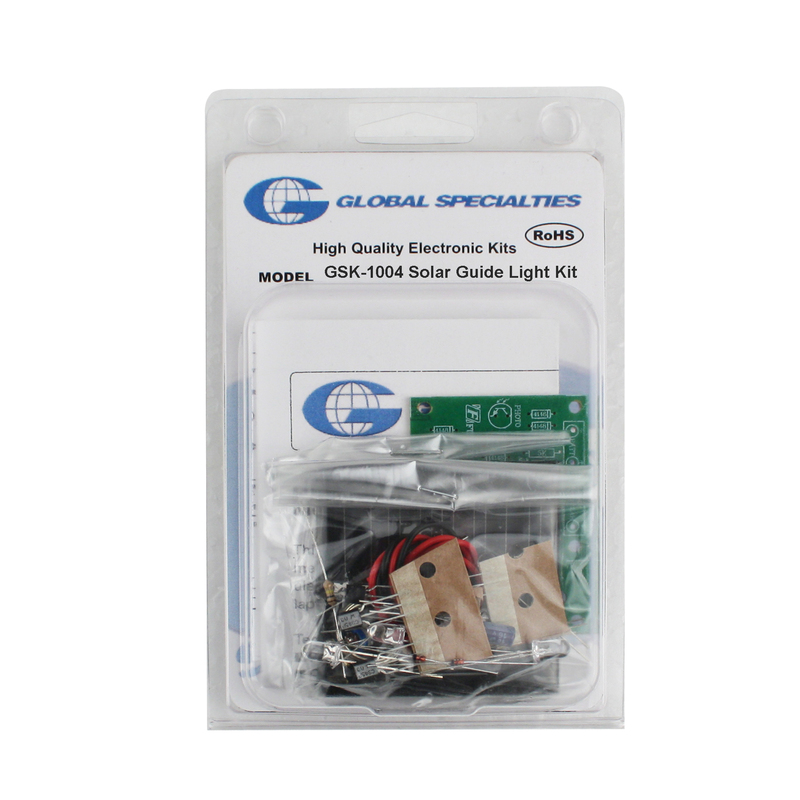 Kit includes parts to build recharging circuit, solar panel, and intensity adjust potentiometer. 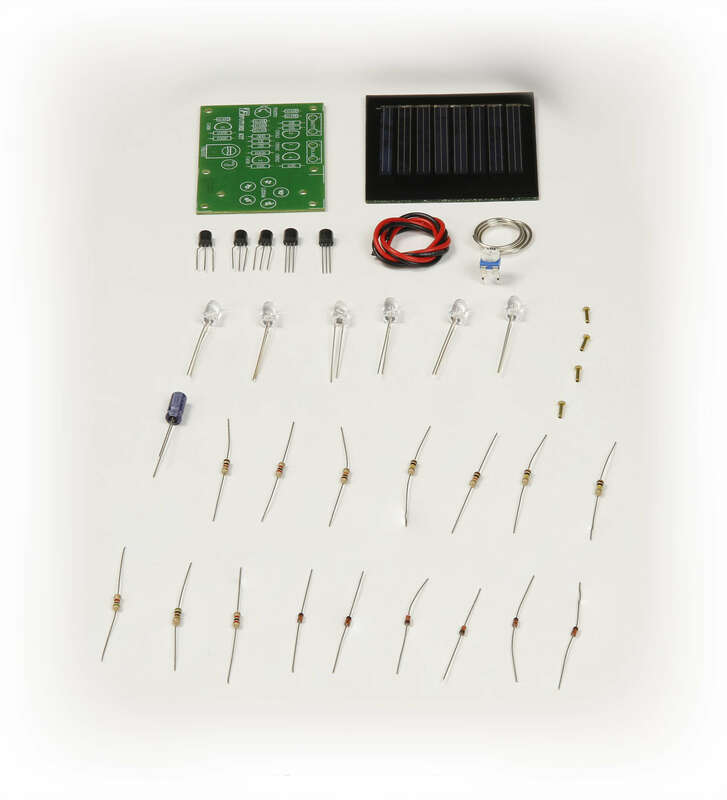 This kit may be assembled without soldering on any Global Specialties trainer or Proto-Board® (not included), or by soldering to the included PCB. Parts and assembly instructions included.